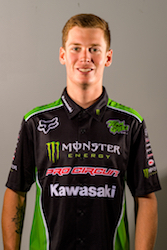 CORONA, Calif. (April 10, 2019) – Monster Energy Pro Circuit Kawasaki’s Adam Cianciarulo and Garrett Marchbanks will make the trip to Denver this weekend as the series makes only its second trip ever to the mile high city. The duo look to keep the team on the top step of the podium after Martin Davalos took the win last Saturday in Nashville on the east coast. They are hoping the change in elevation and race format will benefit them in the penultimate race of the Western Regional championship. 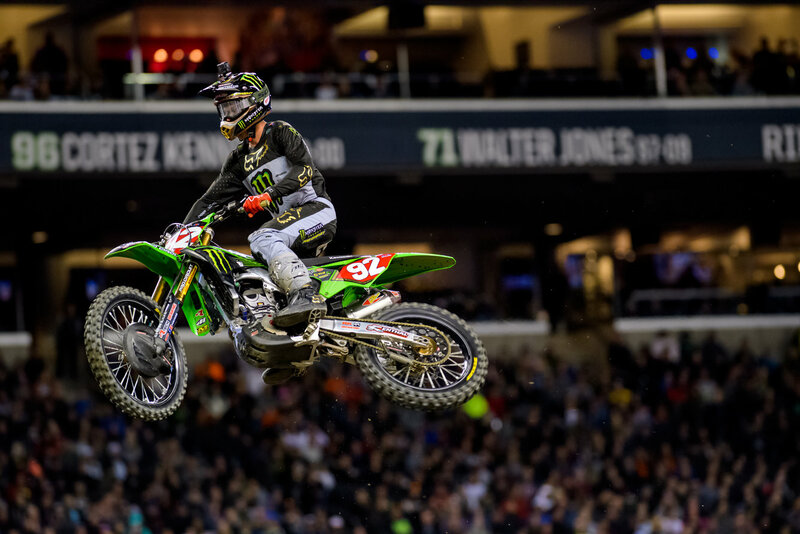 Cianciarulo enters the race with a five-point lead over second in the championship. He’s accumulated four wins so far this year and is determined to make it back on top this weekend in Denver. 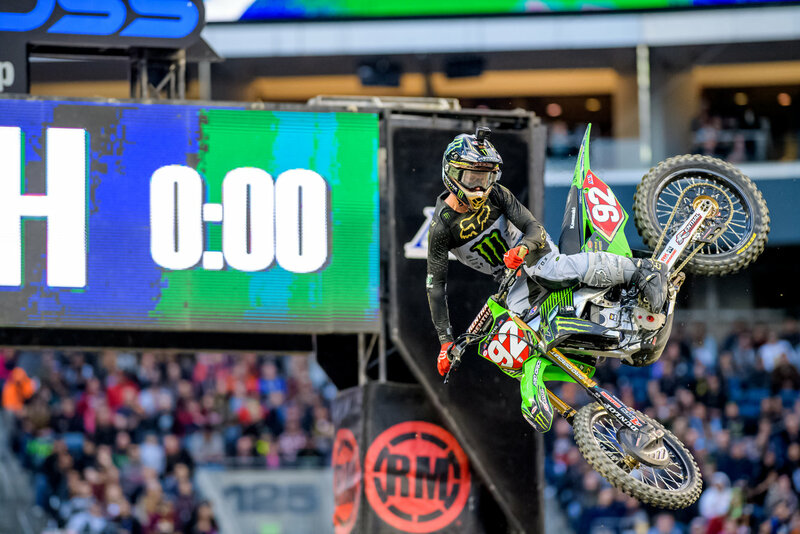 With only two races remaining, Cianciarulo also has the championship on his mind and will do whatever it takes to keep the points advantage heading into the final round in Las Vegas. 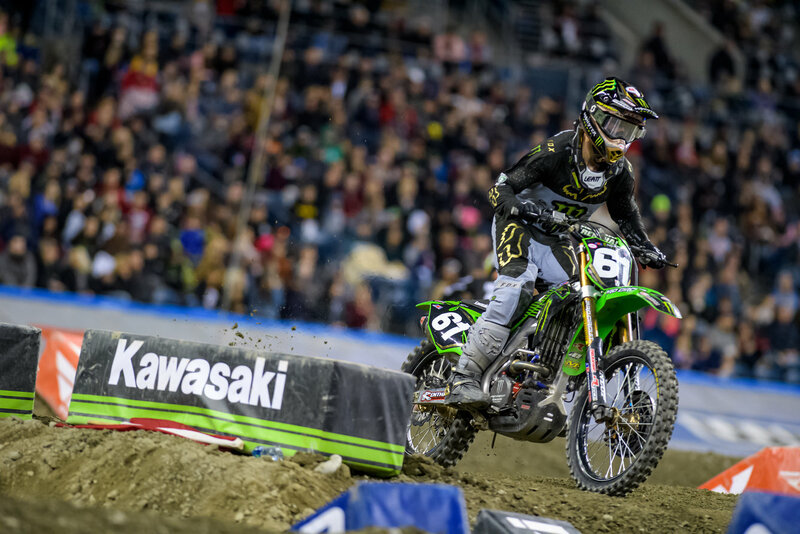 Like a lot of the riders, Marchbanks is happy to get back to the standard race format this weekend, especially when it comes to tackling the stress the elevation can bring if you’re not used to it. The Utah native comes from such elevation and is hoping it can be an advantage when the riders line up on Saturday. 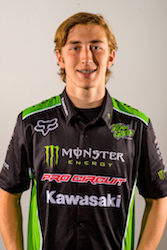 The Monster Energy Pro Circuit Kawasaki riders will be signing autographs on Friday, April 12 from 6 - 7 p.m. at Fay Meyers in Greenwood Village, Colorado. The race from Broncos Stadium at Mile High will be broadcast LIVE on NBC Sports starting on Saturday, April 13 at 8:00 p.m. ET with NBC Sports Gold showing the race starting at 7:30 p.m. ET.